The number of children travelling by rail peaks during the summer holidays, with around 11 million journeys made every year. 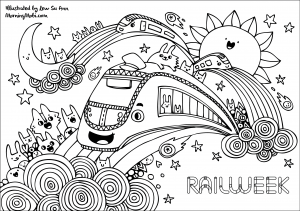 Download the activity book today and enjoy it on a train journey, at home or in a class with friends. 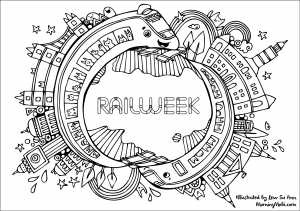 Add some colour to the journey of our Rail Week travellers. Build your rail empire – on iOS, Android and Facebook. Peter’s Railway is an intriguing story about Peter and his Grandpa building and operating a miniature steam railway on a farm. 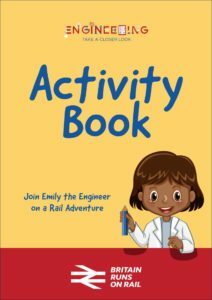 The books are written by Christopher Vine, a Chartered Engineer who loves railways and anything mechanical or electrical. 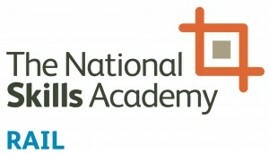 They are his way of passing on his passion for engineering to today’s youngsters. There are hardback books, paperbacks, and an Activity book. Between them they cover a huge range of stories, engineering and science.